Have been languishing tragically for a few days with an unpleasant infection. 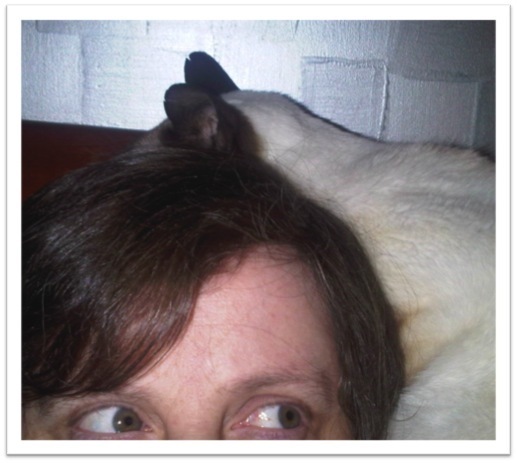 Malteser thinks my outlook might improve if he sits on my head; sadly, he’s wrong. awww… hope you are feeling a little bit better, Fee! Improving by the day Alex, thanks!